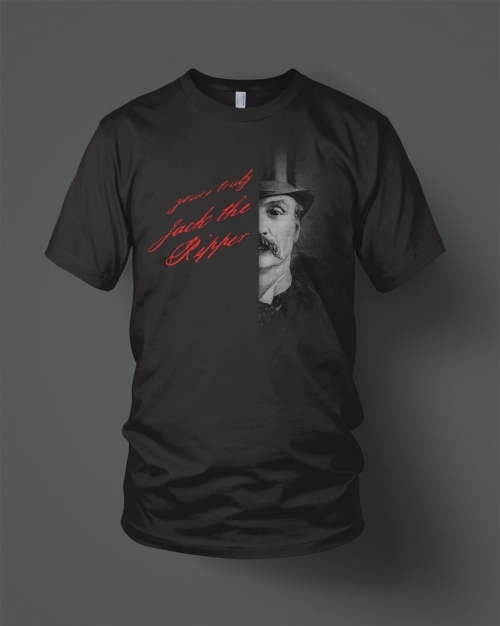 Featuring the half face of alleged Jack The Ripper Diary Author James Maybrick & the haunting phrase ‘Yours Truly Jack the Ripper’ this exclusive design will make the perfect gift for any Jack The Ripper Fan! 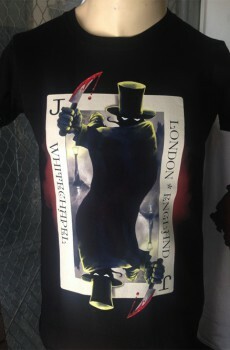 SKU: N/A Categories: Clothing, T-Shirts Tags: Battlecrease, Jack The Ripper Diary, Jack The Ripper T-shirt, James Maybrick, T-shirt. Is this the face of Jack The Ripper? in 1992 a diary was found hidden under the floorboards of a house in Liverpool, a house called Battlecrease. Allegedly written by Jack The Ripper the chilling find documented the twisted thoughts of a depraved serial killer but is the author really the killer? or is the diary an elaborate hoax. Either way the face of James Maybrick has represented the face of the victorian killer for nearly 25 years. 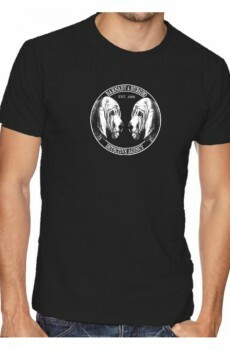 His piercing eyes will make for a truly remarkable conversation starter!